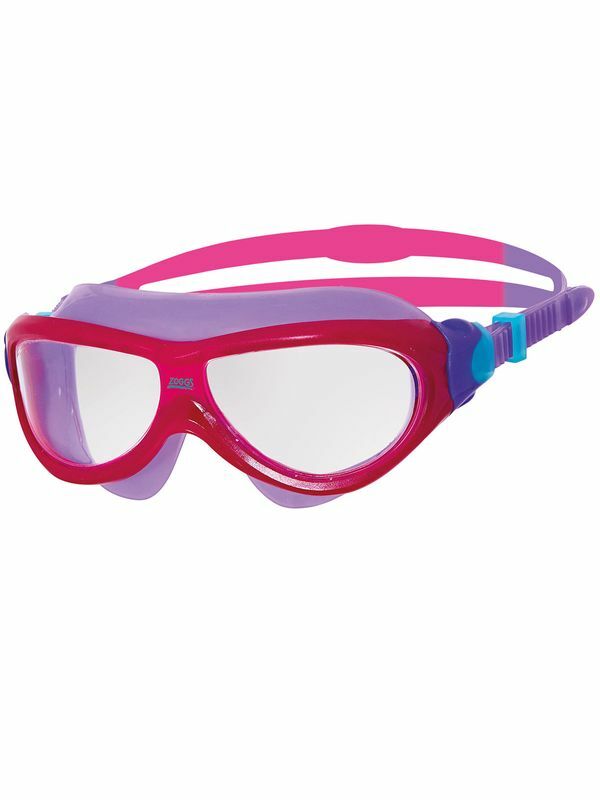 Designed for children aged 6-14 years-old, Zoggs Phantom Junior Mask is ideal for holidays and swimming lessons alike. The blue tinted lenses offer medium protection against bright light and are perfect for swimming indoors. They can enjoy superb vision with large lenses offering CLT™ Curved Lens Technology for 180° peripheral vision, UV protection and Fogbuster™ anti-fog for exceptional moisture control. The larger mask frame is made from hypo-allergenic Soft-Seal™ which moulds to the contours of the face for a ‘second skin’ style fit. This is combined with a handy quick adjust strap mechanism making it even easier for them to achieve that perfect fit without assistance.